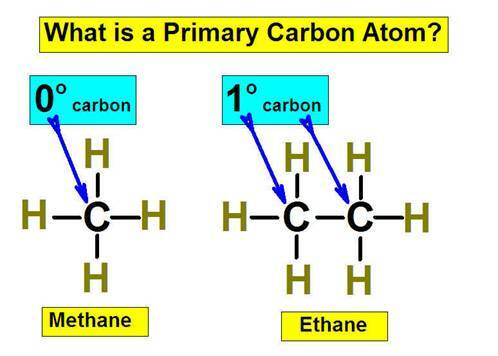 A Primary Carbon Atom (1o) is a carbon atom in a carbon chain which is attached to one other carbon atom. It terminates the chain. A Methyl Carbon Atom (0o) is a stand alone carbon atom, Not in a carbon chain. 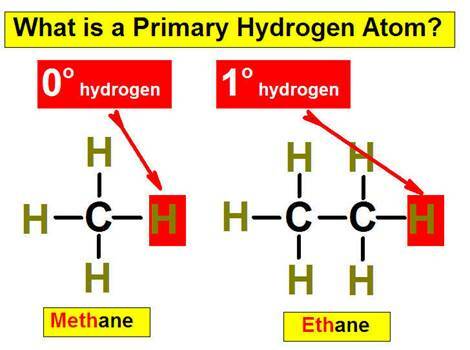 A Primary Hydrogen atom (1o) is a hydrogen atom attached to a primary carbon atom. A Methyl Hydrogen atom is attached to a methyl hydrogen atom.